Beast Sensor Review: Lose Weight & Gain Strength By Tracking Your Workouts Scientifically! 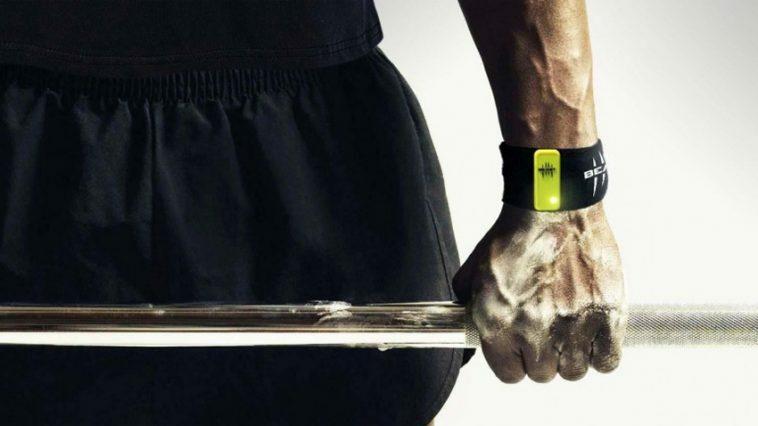 Simply put, ‘Beast’ Sensor is the first ever wearable workout tracker for weight lifting and strength training that connects to your smart phone. Using state of the art sensors and technology, it tracks every movement with over 50 measurements per second when you are working out! It tracks reps, volume, weight, speed of movement, resistance, explosiveness, tempo, plus everything else, it can even sense what rep you start to fatigue at and make suggestions for future workouts! Additional info: Integrated magnet for quick connection with Beast accessories. Whether you are a veteran trainer, a serious lifter or someone completely new to the weight room, it’s important to track what you do, understand your training and have technology on your side so you have an accurate set of information that you can learn from, use to set goals and build your training around. 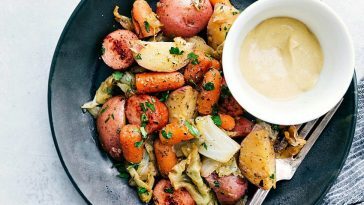 With this, you can set yourself up for success, whether that means building better athletes, getting stronger, losing weight or simply sticking to a workout routine and feeling better and healthier within yourself. Beast Tracker allows you to do all that and more. This sensor completely tracks every aspect of your training; sets, reps, range of motion, velocity, power, explosiveness etc. It tracks and stores all the data and information from your workout session on your smart phone app, which you can view there or on their website, giving you a full look and understanding of your training. This provides you with the tools to build better workouts, to understand your training, to learn what you are doing right and wrong, and allows you to hit your fitness and strength goals with real, trackable data, rather than hope and guess work! While some of the information may seem a little ‘overkill’ for someone new to the weight room, it’s important to realise how intuitive and responsive the technology is. Since it tracks the weight, reps and your movements, it can sense when you are fatiguing. It can sense what rep you start to lose strength on. It can sense if the weight is too heavy (or too light), and make suggestions based on this information. It’s like a best friend and trainer that knows exactly what you need, that tracks everything and shows you exactly what to do to get better each workout. The Beast Sensor comes in a sleek, black box, complete with the Beast Sensor, user guide, wrist strap and charger. To get started with your training, you follow the easy set up guide and create an account with Beast and download the app from Google Play Store or iTunes onto your smart phone. After you fill in your details and your training goals, you simply sync your sensor with your phone via the app using Bluetooth and your Beast tracker is ready to go! Once you’ve set up the tracker, you can plan your workouts in two different ways. You can use your account on the Beast website and create your workout there (which saves it directly onto your app for later use) or you can go straight to the app, fill out your workout goals, what style of workout you wish to train for, (performance tracking, hypertrophy (building muscle) max strength, power or velocity), then you select the exercises and weights you wish to perform in that workout from a simple, drop-down menu on the mobile app and click start. The app is very simple to use and understand, it all comes up automatically, with the weight and the exercise all ready to go. Simply make sure the Beast is on and you have it securely fastened on your wrist (or body) and click start on the app. A 5 second countdown will be shown on the screen, then you perform your set. Click stop at the end and the tracking will end for that movement. On the screen you will be able to track all kinds of data, and you can customise the screen to your own personal preference, whether you want to see reps, how explosive you where, or the tempo in which you completed the movement. How you use the sensor is completely up to you! Benefits Of Training With Beast. When you talk hear about muscle building and strength training, you might hear the term “progressive overload“, which means to lift more than you did the last workout (either extra weight or extra reps). Lifting more and more each time, forces your body to get stronger and to build more muscle to cope with the continuous exertion and extra weight each time. How can you do this if you don’t remember what you lifted last Tuesday? or two months ago? or yesterday? Keeping track of exactly how much you lifted, how many times you lifted it and the quality of each rep is the perfect way to know exactly where you started and to know what you need to do the next workout to keep progressing. With the Beast, everything is tracked so you can look back over every workout and make sure you are seeing the best and most effective results every time. As we said above, the Beast can be like your best friend in the gym. It tracks every weight and rep, so you can build the best workouts, it can let you know if the weight is too light or too heavy, it can provide suggestions for you in the future, it gives you the motivation to train harder, by seeing the results on the screen and showing you were you went right and were you went wrong. This device can make all the difference in the world when it comes to achieving your goals. It can be tough to find time to go to the gym, to want to go and give it 100%. It can be easy to get out of a routine and to feel like you’re not getting the results fast enough so you quit. Maybe you know someone who bought a gym membership, went for 3 weeks, then never returned. These are common problems that we all hear about, but an investment in a product like Beast can change all that. With Beast, you can see how far you’ve come. Were you used to only be able to do 3 reps of that weight, now you can do 12. You can see the charts, the data, this stuff isn’t just in your head or how you felt. You can see real numbers going up. Real graphs that show an upward curve. Even if the scale doesn’t move like you want it to. You can still see how many tons of weights you’ve lifted. How many workouts you’ve completed. Tracking your workouts, show you were you need to go and how to get there. With this information, it’s easier to make the right decisions and when you make the right decisions, you get serious results! Once you start seeing results, it becomes and addiction and the motivation to continue will be natural. With the tracking data, you can see what works and what doesn’t work for you. Which means faster results! You can see where you are lacking, if it’s a particular muscle group or if you’re training is better on a weekend or a weekday. You can go over everything and make adjustments to your training. These educated steps can help you take your training to the next level and stop you from making mistakes in the future, stop you from following a bad path and can even prevent injuries but showing you if you are over exerting or training past fatigue. If you’re a coach or a trainer, you can use the Beast tracker to track your students and show them exactly how they are training and make in workout adjustments to benefit your clients. It can show a sports coach how explosive their athletes are and the speed at which they are performing. All crucial factors in determining sports and athletic performance. That All Sounds Great! Any Drawbacks? While the Beast Sensor has many brilliant advantages to regular, untracked training, there may be a few draw backs for the casual lifter. Some of the data you track and see on your screen might look like more like it belongs on a screen at NASA (Which makes sense, considering part of the team is made up of aerospace engineers). There is so much to view and analyse, that it might seem overwhelming for someone new to tracking their workouts and learning about the importance of velocity and explosiveness in their workouts. It may take a little time before a new lifter will be able to interpret all the data correctly and be able to use it to their advantage. However if you are willing to learn and research some of the information, it can lead to some incredible results in your training and your body. Also, if you like strolling into the gym, “feeling” a workout, and doing what you feel like at that particular moment with no set routine, then a tracking device like this might take some adjustments. It’s important to plan ahead with a tracker, inputting your workout and then keeping your phone by you at all times so you can stop and start the sensor, before and after your sets. A person who likes to swap around, change up their exercises and listen to their body might find it hard to stick to a set routine that has already been thought up and prepared. Again, however, if they can adjust and stick to a quality, tracked routine, their results in the gym should be much better and more consistent. If you want to get serious about your results and your training, this could be the product for you. If a simple pen and paper isn’t the way you want to track your workouts anymore and you feel you would like to get educated about your training and use technology to get a step ahead, then the Beast Sensor is perfect for that. If you struggle with motivation and need a guide that shows you where you started, how far you’ve come and give you goals for the future. If you want to take your results to the next level, push your strength through the roof, lose weight and are willing to put the time into learning and understanding your training then the Beast Sensor would be the perfect partner for you! You can get one right here. You can learn more about the product by going to their website: https://www.thisisbeast.com were you can learn more about the team, their product and their vision for helping people get the most out of their workouts. Previous article Monica Went From 475lbs & Miserable To Losing Almost 300lbs & Feeling Amazing! Next article Fit Mom Shanna Kangas Talks Training While Pregnant & Losing The Baby Weight!